With its capital is Paris - called the city of Love & Romance, without flowers the varied culture of France is incomplete. Frenchmen cannot think of an important occasion without gifting flowers. Well known flowers grow are Lilies, Gourdon Flowers, Purple Flower, Iris Flowers, Rosemary Bush and Cacti Cours Saleya. Iris being the National Flowers. If you have to send flowers in France remember not to send chrysanthemums as these are only used to decorate tombs. Instead select flowers like Gerberas, LIlies, Orchids, Plants or Roses. For a Frenchmen giving flowers as gifts is not a ritual, and is not expected beyond the traditional Birthday, Christmas, Christening, Wedding, or for Housewarming. Red Roses are our bestsellers here as it represents love. Send flowers same day to France using our local florists & flower shops. Order by 12 noon. Send Mother's Day Pink Roses, Lilies, Carnations & Special Gifts to France. Send Roses, Carnations, Lilies throughout France for occasions like Birthdays, Anniversaries, Funerals, etc. Enjoy affordable flower delivery across Paris, Marseille, Lyon, Toulouse & nationwide delivery. Since 1999, Flora2000 has transformed fine flowers into artistic expressions of mesmerizing beauty and delivered surprises right on time. You can send flowers across France, from Paris to Grenoble or Marseille to Toulouse and surprise your loved ones with something truly enchanting. 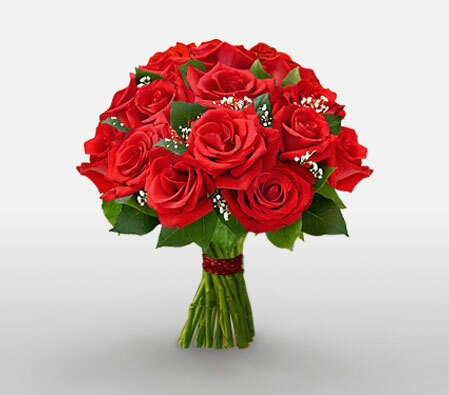 You can rely on us to send flowers online to France simply by choosing stunning bouquets from our lavish range and send across your heartfelt wishes in a truly special way. How do i send International Flower Delivery to France? 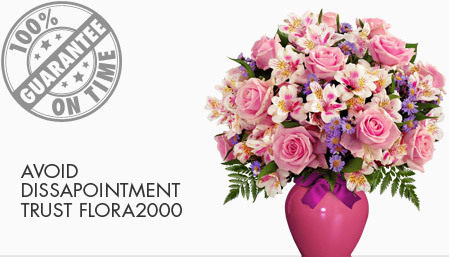 Flora2000 has transformed International flower delivery to France into a fine and effortless art. With our efficient flowers & gifs delivery services worldwide; you are sure to find the perfect expression of your message to your loved ones. Be it Roses, Lilies, Carnations or Cakes, our gifts are sure to make both the sender and the receiver happy. We make sure the gifts you give reflects what you feel about the receiver. White chrysanthemums are popular choices for funerals, common people select macaroons from Ladurée, cocoa-flavored eclairs from Jacques Genin, or chocolate from Chapon. High-end food baskets and of course who would forget the champagne. Handpicked Unique Gift Ideas for Mom. Fresh Roses, Lilies, Carnation & Gift Hampers specially crafted for your mum. Order NOW for guaranteed delivery on Mother’s day in France.